I love A Man for all Seasons, Robert Bolt’s portrayal of the tragic, infuriating Thomas More. We recently saw it acted in The University Church of St. Mary the Virgin, Oxford, in which many of the characters, More, Wolsey and Cranmer had worshipped, and in which Cranmer was sentenced to death. He was imprisoned, and ultimately lost his life for what appeared to his wife and more friends with a better grasp of political expediency as minor matters—refusing to sign the Act of Successionor approve of the annulment of Henry’s marriage to Katherine of Aragon. But he was right. Henry was a classic, insecure bully, demanding ever greater total allegiance and proof of it. If More had given in, ever more would have been demanded, until there was a price he could not have paid, and then he would, very likely, have died anyway, but as a bitter, compromised man. That’s what happened to Cromwell, and Wolsey, and then to Cranmer under Mary. Every man has his price, goes the cynical saying. Well, not everyone, fortunately. There are men of integrity, or stubbornness, who will not compromise their integrity for the whole world. (My own father was often like this, often annoyingly so!) Thomas More, proud of, and defined by, his integrity, was rather lose his wealth, and life than substantially compromise his integrity. The story of Thomas More who refused to sign and loses his life, is in ironic juxtaposition to Richard Rich, who betrays, and toadies up to the right people and gains great wealth—Leez Priory, and a hundred manors in Essex during the Dissolution, spoils which remained in the family until the nineteenth century. During the final years of the reigns of Henry, Edward, and Mary, he was in favour of whatever religion was in power. Even on a purely temporal basis, it seems to ask if it is worth gaining power and success at the cost of one’s integrity? As we see Thomas More in prison for years, and then beheaded, while Cromwell and Richard Rich flourish, the question is not merely academic. As for me, I want to choose peace and integrity. To say what I believe, and not to pretend to believe what I do not believe, or be who I am not. And, I am grateful I do not live in the reign of Henry VIII, where it often came to choosing between your integrity and your life. 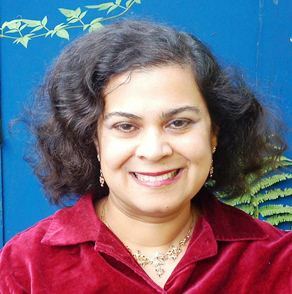 Anita, Thomas More has always fascinated and confounded me. There are reports of his fanatical and brutal treatment of others in many “historical” novels on bookshelves everywhere. At his core, however, I believe he was a man who believed in God, integrity and was willing to stand for what he believed in. 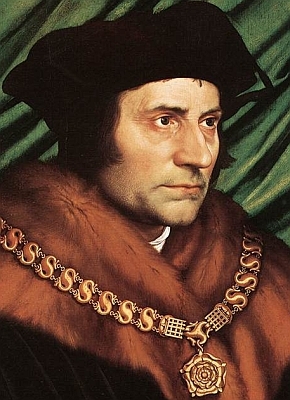 We are all sinners, Thomas More included most likely. It does not mean that you and I cannot hold him forever as our hero! Not as long as we stand for integrity and peace. March on! Well,I liked the movie, too, Anita. So often the story is not the truth. Still, it inspires. Oops. So More is not in high favour with my blog's readers. I have loved A Man for all Seasons since I saw it as a teenager, and More has been one of my heroes for his courage, integrity and stubbornness. I haven't read “Wolf Hall,” but would like to. Please, Thomas More, do not disappoint me. Nothing sadder than losing a hero!! I agree with Jim. More's treatment of John Frith was appalling. I wonder if there was some sort of internal conflict going on in More, he went far beyond the call of duty in pursuit of those he considered heretics such as Tyndale; it was almost as though it was a test of his faith. His son-in-law became a Protestant and even his favourite daughter, Meg, toyed with Protestantism. I wonder if More was also tempted and all the self-mortification was his way of keeping his doubts in check. Hmmm. You might want to read Hilary Mantel's 'Wolf Hall', which portrays a rather different (and probably more historically accurate) picture of More. He was a fanatic who took delight in torture and the public burning of anyone who disagreed with him on spurious heresy charges. A profoundly unpleasant individual beatified for dying for the Church (as opposed to dying for God).